Pablo Picasso is known for the quote “Every Child is an artist, the problem is staying an artist when you grow up.” I’d like to change it to : Every adult is an artist, the problem is many simply forgot. Chefs use food to create beautiful and delicious dishes. Carpenters use wood to create beautiful furnitures and accessories. Writers use words to create all kinds of scenes in the mind of readers. Programmers use codes to create beautiful functional pieces of software. Farmers use their hands to create the most delicious organic food. Organizers use their skills to create a serene environment for their clients. Engineers use their skills to create beautiful and functional machines that others use everyday. The types of “canvas” available for you to create your own art are endless. All you need to do is allow yourself to play like you did as a child, be curious, explore and experiment in your fields of interest, create what comes to mind and see what happens. This is pretty much what I’ve been doing over the past couple years. After too many years ignoring the “child artist” in me, I started exploring my creative side. At first I started doodling a little more, then drawing and sketching, then the sketching gave way to painting and using softwares to create art and put books together. 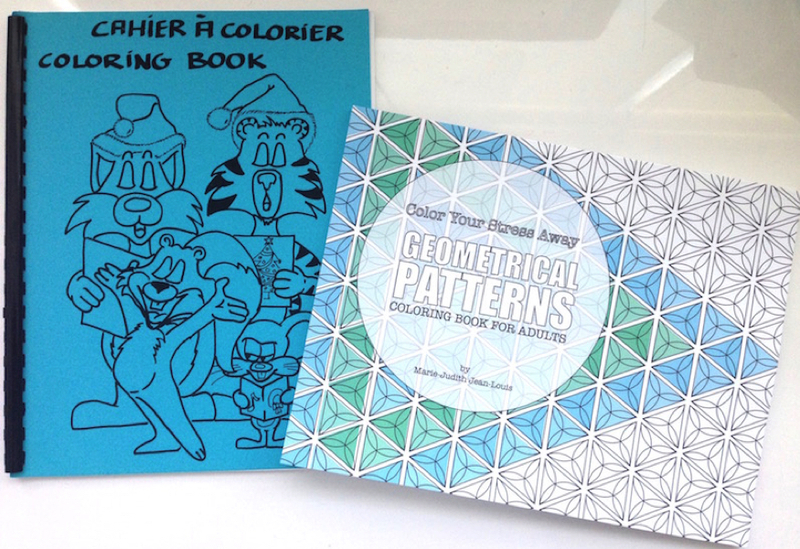 And not long after that I created a coloring book. And as I was completing my “first” book, I realized that it was in fact my second. As you can see in the picture above, a long time ago, I created my real first coloring book for kids over the holidays. What a weird coincidence! I had totally forgotten about it until recently, going over some old books, I found an original copy of my very first coloring book. I think this is what happens when you allow your inner child artist to come out and play. You get to reconnect with that inner creative child and are able to make the art you’re meant to create. Unlock the door and allow the artist in you to express himself or herself. It will not only make you happier but it will also give you the opportunity to create things in a way that no one else can. Who knows where this could lead. What’s your art? Do you remember? Are you still connected to it? What would you create if you gave yourself permission to express yourself creatively and manifest the artist hiding inside of you?